Hi everyone! Happy Monday! Hope you all have a great week. Ashley here from The Glamorous Side Of Scrapping bringing you todays post! Don't forget this month Jaded Blossom is having a great Christmas sale! Be sure to check it out! So for my project today I went with a rocker card. I used the Christmas Wishes set. Don't forget there is still time to play along in our monthly challenge. Click here and you'll be taken to that post! 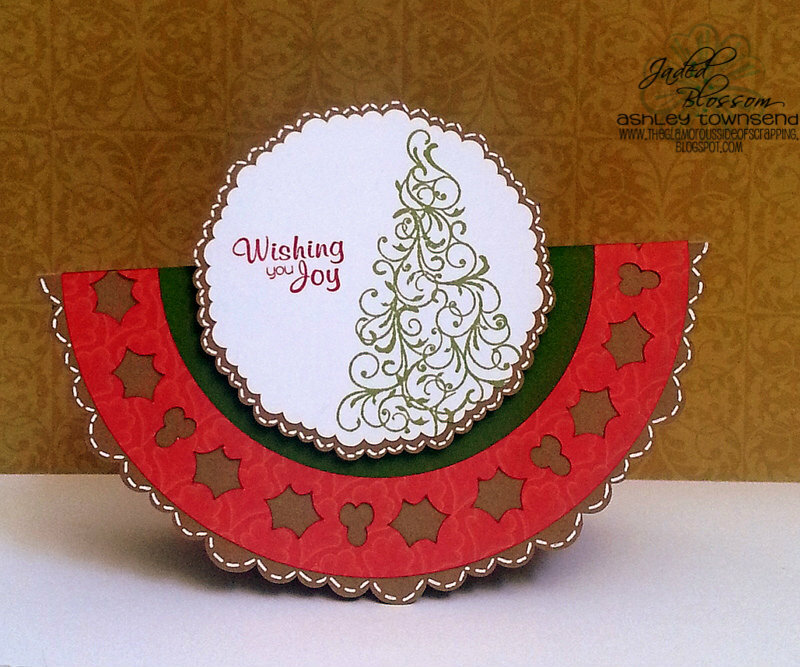 More details about my card can be found on my blog by clicking here. I love this shape of card!! It is so pretty and that tree is one of my favorites to!! rocking cards are so fun! Love this image too, is one of my all time JD faves. Thanks for sharing Ashley!